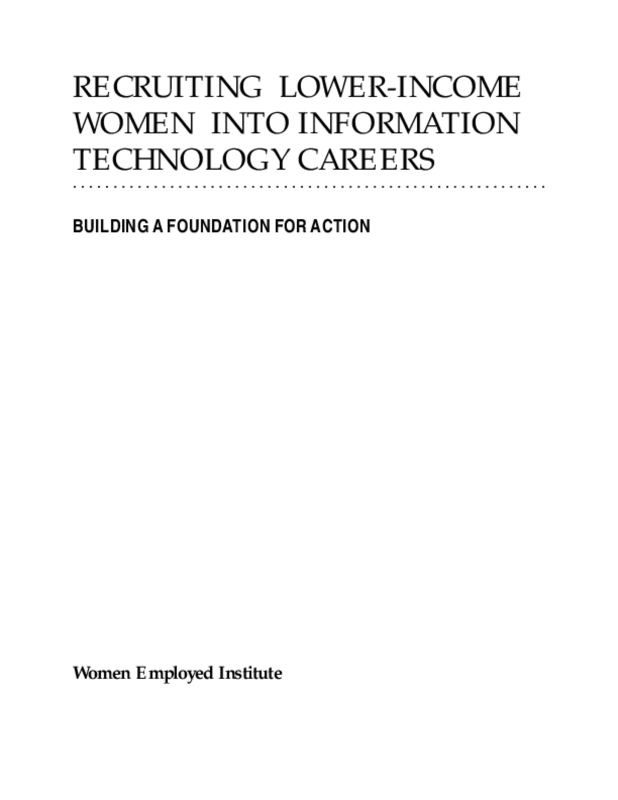 This report makes the case for encouraging more low-wage women to consider careers in information technology. It assesses women's knowledge and perceptions about the IT field and establishes a framework to promote opportunities in IT. More reports like this one are available on WE's website under Media Center > Publications > Expanding Career Options. Copyright 2002 Women Employed. All rights reserved.